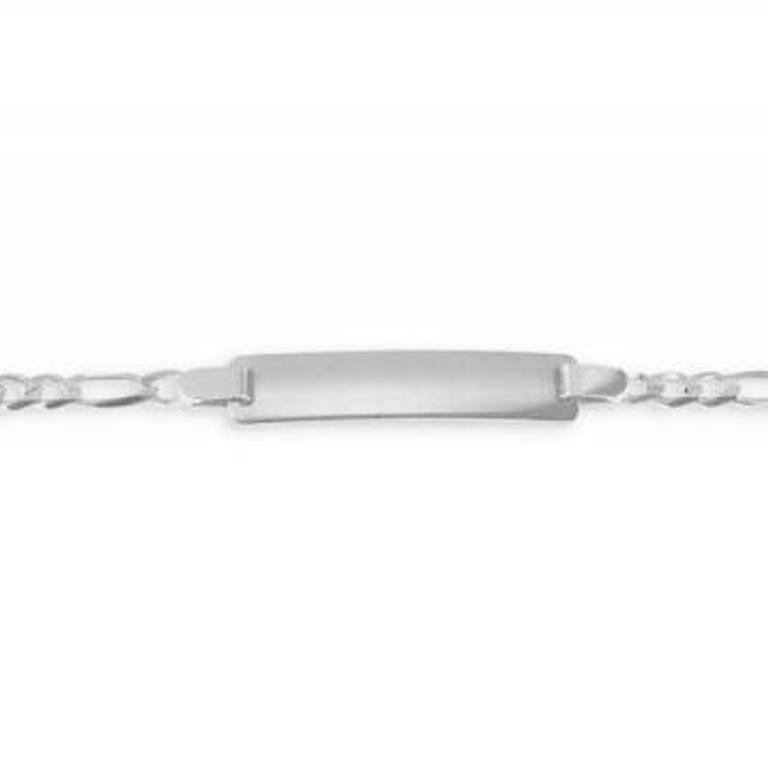 Children's ID bracelet crafted in 10k white gold. The bracelet is made up of figaro style links and secures with a lobster clasp for safety. It measures 6 inches in length and is adjustable down to 5 inches.